We ran a few standardized tests on the dual-core LG Optimus 2X against last year's finest the Samsung Galaxy S, and have a couple of charts to share. Bear in mind that the Samsung Galaxy S we tried was straight from the carrier with Android 2.2 Froyo, not rooted, and not with the lagfix, so some results suffered due to its stock RFS file system, especially in general benchmarks which measure read/write speeds, like Quadrant. When the lagfix betters its file system the Galaxy S easily gets 2200+ on Quadrant, but we wanted to compare the handsets as their creators intended. Other than that, the LG Optimus 2X performed better in almost all of the tests, except for close results in a 3D graphics test, where it managed only about 13% more frames per second than the Samsung Galaxy S (we can discount the huge difference in Neocore, since it is a rather old test, but we did it just for reference purposes). We have marked in the titles the instances where the lower score is the good one; in the rest of the benchmarks higher means better. In browser benchmarks, on the other hand, the NVIDIA Tegra 2 1GHz dual-core chipset inside the LG Optimus 2X really shined. It delivered thanks to the Symmetrical Multiprocessing (SMP) capabilities of ARM's multi-core Cortex-A9 chips like Tegra 2. Recent changes in the Webkit code, what we have in the Android browser, allow for taking advantage of multiple CPU cores when rendering websites. Overall, the "two cores are better than one" mantra holds water in everyday usage, and, as we saw at Google's Android 3.0 Honeycomb event, developers are already working on apps and games that take full advantage of the two cores running in tandem, so, come this year's holiday time, we are positive that dual-core will be all the rage as stocking stuffers. Wait for galaxy S II, than will be objective assessment. single vs dual core verrry...unfair!! im just impressed at how well it did with only one core. Yeah, Galaxy S2 will blow everything out of the water. holey crap.. an actual "test" with quantifiable results, not just opinion!!! its about time!! Just for giggles, they should have ran a 3rd test with the galaxyS with the voodoo lagfix running. It makes the system faster by a large margin. It still would have lost probably, but it would have been a closer race. 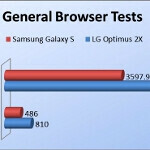 GalaxyS-2 will be faster than everything save the tegra3 processors. Dual core orion chips(GS2) are way faster than tegra2 and dual core snapdragon. Wait what these phones are not even comparable must be a slow day. quadrant and linpack scores can sometimes be overrated - but it is an unfair test - lets compare with atrix, infuse, and the HTC 4G phones later on - nice job, though. heh,when the galaxyS-2 comes out,for sure the LG team will make some other suprises. 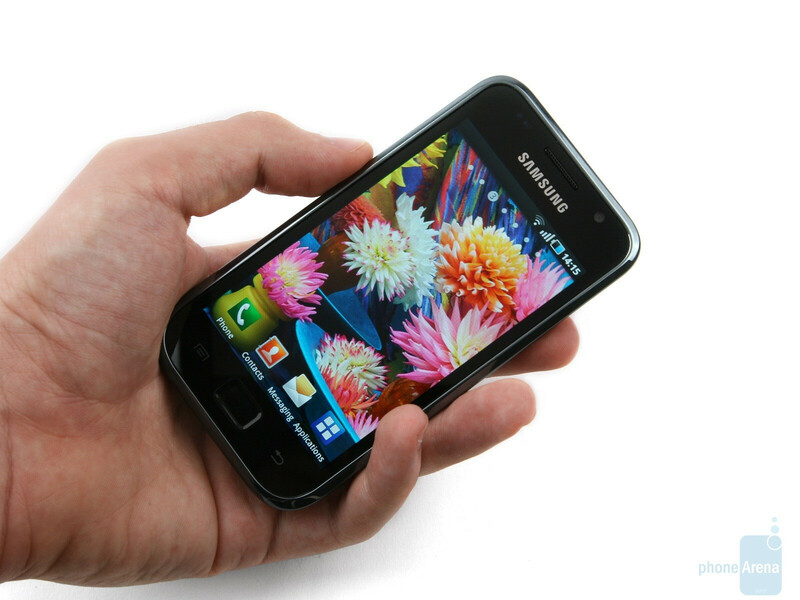 The first mobile dual core should be appreciated,the 3D imaging system also. Congrats to LG. Dummies!, the reviewers had explained that this is just a benchmark (check meaning!) test and for reference comparison between single and dual core processor. It was NOT a competition or about which is the winner. If the price difference is too much, I will be happy to stick with single core which is fast enough for daily use. these f*cking companies ,in order just to keep the market alive and grab our money for nothing they add a single feature every time they come out with sth new.They have all the capabilities to make sth ALL IN ONE. Same to HTC ,theY made such big cool phones like HTC HD2, HTC 7 HD,trophy ,desire HD,sorround,htc hd7 pro, AND THEY DIDNT PUT A SMALL F*CKING FRONT FACING CAMERA FOR VIDEOCALL..
@Almighty: . lol....you're right. It was a comparison between single core and dual core. 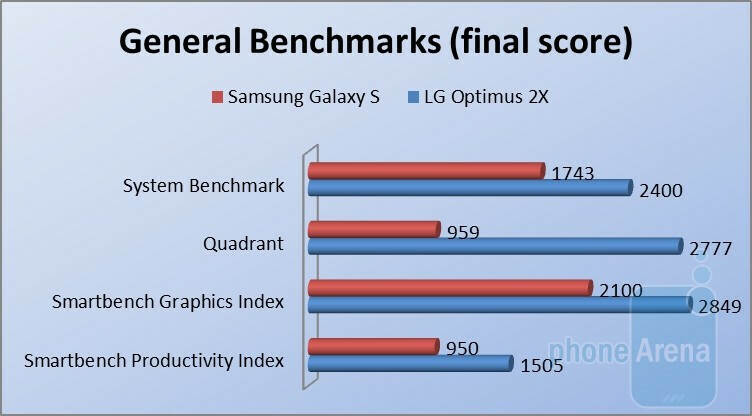 And it picked arguably the best single core chip out right now to compare to Tegra 2..
http://technoguff.com/another-hot-comparision-samsung-lg/ now it's time to compare. Both phone are great but the benchmark of the S2 is little bit better then the X2. the S2 battery is 1650mAh and the X2 is 1500 mAh which is not a big deal. There is another point that u have to take in consideration that the X2 is running under Froyo 2.2 and S2 is running under Gingerbread 2.3 maybe if the S2 get updated to Gingerbread will give for sure better results in benchmarking. Cause it's Double Core both phones. the X2 has HDMI which is good. the S2 has 1G ram comparing to 512 and has also front camera with 2mp comparing to 1.3mp. Tegra is going to Triple core for this summer for sure a phone with 3 cores is also impressive :) for the conclusion it's my pocket who will make the decision cause both phones are good. yey!!!! 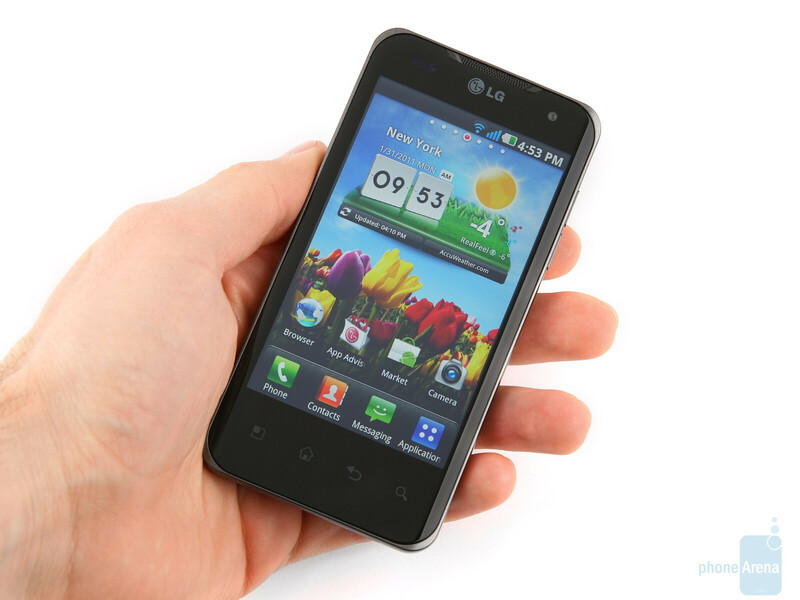 Lg Optimus 2x wins,, yey!!! :P to all of you guys who voted samsung galaxy s! !